An exclusive untouched wilderness retreat only available through two safari operators in the world. This national park on the western border of Zambia is known as the Serengeti of Zambia. A photographer’s dream, this unforgettable location is home to the legendary Lady Liuwa lion pride, the 2nd largest wildebeest migration in Africa, and multiple rare bird species. This trip is a perfect pairing for an immersive Zambian experience with our Classic Zambian Safari or a delightful segment to Victoria Falls and Cape Town for the trifecta that all Southern Africa has to offer the most intrepid traveler. From Lusaka fly into the Kalabo airstrip and drive 2.5 hours to secluded King Lewanika Lodge. Stay in one of six luxury villas tucked into Lion Boma Woodland. Join experienced local guides to view wildebeest, red lechwe and get up close and personal with some of largest clans of Hyena anywhere in the world. Rise early for a guided safari walk or game drive to find the Lady Liuwa lion pride or go in search of the endangered wild dogs and cheetahs. 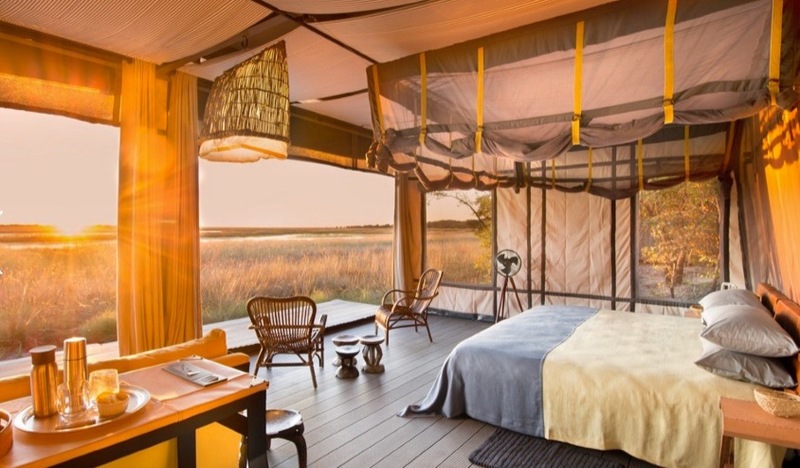 Return for a lovely brunch and relax until late afternoon tea where you will prepare for your sundowner and night drive with the entirety of the Liuwa Plains National Park to yourselves. Enjoy a special bush breakfast and prepare for your drive to the Kalabo airstrip and flight back to Lusaka.